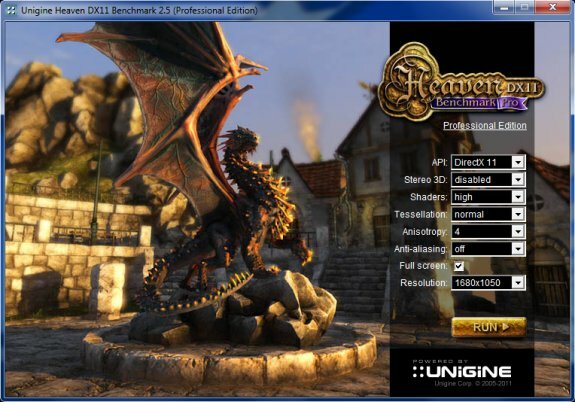 Unigine has published version 2.5 of its Heaven benchmark, you can grab the 229MB download over here. New in this edition if indirect occlusion to simulate real-time global illumination, improved quality of ambient occlusion, improved GPU support, enhanced stability and various other improvements. Another major change is the launch of a Professional Edition for OEMs, hardware reviewers and enthusiasts. This version includes a stress testing mode (benchmark looping), reports in CSV format, command line automation, and technical support. Definitely some handy features, but unfortunately Unigine charges $495 for the Heaven Professional Edition.